They say your eyebrows should look like sisters, not twins. Mine are more like cousins: one is thinner than the other, with a higher arch à la Kylie Minogue, and a completely different brow head. I love them though. They give my face greatly needed definition and structure, and if I’m having a makeup-free day they are still the one part of my face that gets a minimum of attention with a tweeze and a slick of clear mascara. My current eyebrow pencil is now down to a stub so it’s a perfect excuse to go shopping. After some online research, recommendations from members of Stylist Beauty Council and tips from in-store beauty advisors, here’s a round up of the products I’ve put to the test. I never used to fill in my brows until my wedding makeup artist showed me how to. 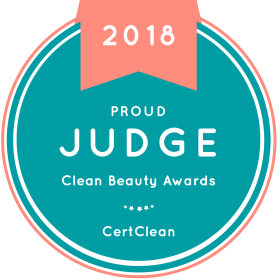 Since then I’ve been hooked on the result, and although it’s not part of my daily beauty routine, if I didn’t have a toddler to contend with in the mornings it probably would be. The HD Browtec is so easy to use I don’t really have an excuse. A retractable lead is my favourite format as there’s no faffing about with a pencil sharpener. The spoolie on the other end tidies up brows once you’re done with the colour. Shade selection is minimal with 3 to choose from but I found my match in the blonde ‘bombshell’ option. Bobbi Brown is known for great products helping you achieve a natural look and this pencil is no exception. The powder-based formula gently deposits colour onto eyebrows and provides a soft look without the harsh overdone lines you can get from some pencils. The beauty advisor lightly drew a line along the lower part of my eyebrow then brushed light upward strokes from the inner corner to the arch of my brow. He added a few more strokes tapering towards the tail et voilà, he was done in a matter of seconds. The pencil is available in 3 shades, and even with my darker-than-blonde brows I went for the lightest option. This type of pencil definitely lasts much longer than the retractable lead ones so for £19.00 it feels like money well spent. The last Benefit product I tried was Bad Gal Lash mascara which was a while ago, so I was looking forward to getting reacquainted with this kooky brand. The shopping experience and product didn’t disappoint. The boutique I visited exuded Benefit’s trademark fun and feminine quirkiness. The beauty advisor took me to the brow bar and gave me an overview of the range, recommending Goof Proof as the best fit for what I was looking for: filling in sparse brows to achieve a natural look. She highlighted the correct shade for my brows, which ended up being 3 Medium as my brows don’t match my dark blonde hair (like Madonna circa 1987). The retractable pencil is easy to use, the shape allowing you to softly fill in brows as well as add definition with the sharper angle. If you don’t have access to a Benefit store there’s a Try It On function on their website, where you can take or upload a photo of yourself to simulate trying on the product. The result was very very subtle but better than purchasing blindly. This pencil promises ‘defined, sculpted brows’ and that it certainly delivers. Twisting it brings out a thin lead, perfect for very precise application. I use the spoolie before and after colouring in brows, first to shape and see where I need to fill gaps, then to tidy up. Colour-wise it seems that unless you go for a brow specialist or high end brand you typically get a choice of 3. I went for the middle shade but looking at the result in the cold light of day it’s a tad too dark, resulting in the angry eyebrow look you sometimes get with heavily applied colour. I had to wipe off excess pigment with a tissue to achieve a less harsh look. Retractable pencils get used up pretty quickly but at £7.99 this is reasonably priced. I was initially reticent to stray from a pencil format. A pot of creamy formula and a brush seemed like professional tools so I was convinced I’d ineptly end up looking like a Picasso portrait (but less valuable). Of course this ended up being my favourite product. I lightly tapped an angled brush onto the formula and drew a light line along the eyebrow’s bottom half, then pushed the colour upwards into my brows, finally using feather like strokes to taper off. The surprisingly easy-to-achieve result was defined yet natural, and with 11 shades to choose from (I went for taupe) you shouldn’t settle for anything less than a colour-perfect match. At £20.00 plus the cost of a brush this isn’t a budget option, but a little goes a long way so should keep you going for a while. Regardless of whether or not I colour my brows there is one product I will aways use and that’s a clear mascara. I consider it an essential tool to achieve groomed eyebrows, disciplining them into a clean shape. I don’t tend to spend much on this beauty product as it just needs to keep my brows in place without leaving a shiny residue. At £1.99 this one does the job well, evenly distributing product onto brows and keeping them in place throughout the day. Before trialing these products I was convinced I knew exactly what worked best for me. Anastasia’s Dipbrow Pomade showed me otherwise and although I would still include a retractable pencil in my eyebrow grooming arsenal, the Pomade was a revelation. What eyebrow products do you use? Leave a comment below to let me know.